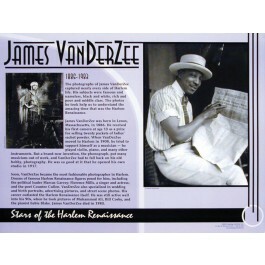 This educational poster of Harlem Renaissance photographer James VanDerZee features a large photo image of him along with biographical text. The poster also shows one of VanDerZee's representative works. Although VanDerZee became the most fashionable photographer in Harlem during the Harlem Renaissance, his photos captured every facet of Harlem life, nameless as well as famous, poor as well as rich. 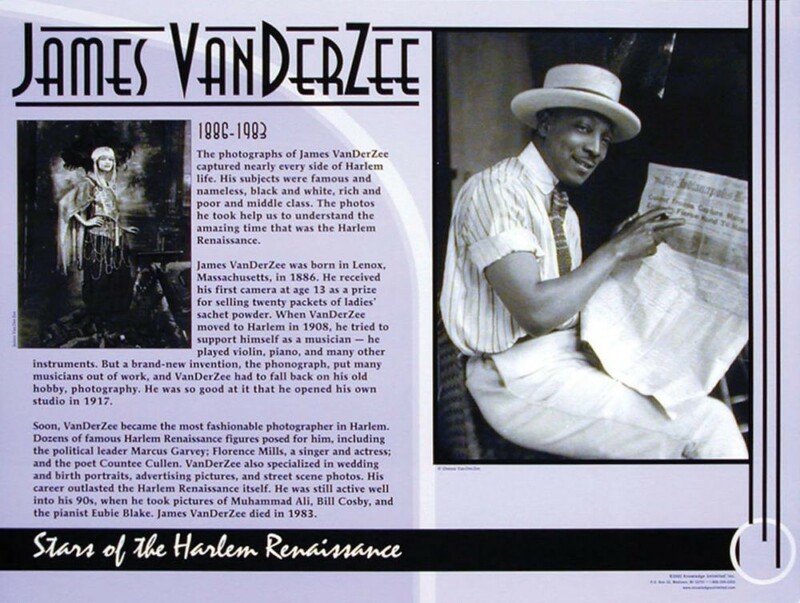 VanDerZee's career outlasted the Harlem Renaissance by many years. He was still active well into his 90s. This poster is a great way to introduce students to one of America's greatest photographers. and one of the great artists of the Harlem Renaissance.